The Society is delighted to welcome from Thousand Oaks California, Kent Rasmussen, the well-known author of books on Mark Twain. I’ve been a Hornblower buff since my college days in Berkeley, where I grew up. My family lived in north Berkeley, not far, I believe, from where Forester was living at the time he appeared on a television interview show during the 1950s. Wasn’t that Edward R. Murrow’s Person to Person? I don’t recall watching that show myself, but I recall being impressed when I learned that a network television crew had come to Forester’s nearby house. 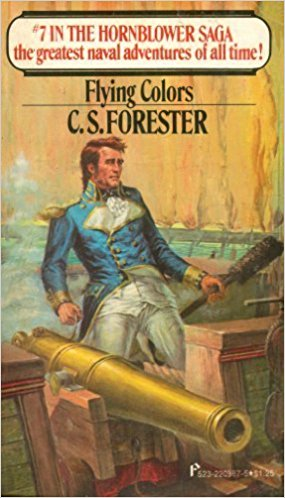 I started reading Hornblower books around 1964, while I was a college student at the University of California in Berkeley. By that time, Forester, I believe, was living nearer to the campus. I graduated from the university in June 1966, only two months after Forester died. 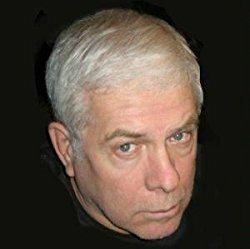 At some point–it must have been later–I regretted not having started reading Forester’s books when I was younger and Forester was still alive and living nearby. I would have liked to meet him, or at least see him around his house. While I was working in the British Library, I pulled the library’s massive catalogs out so I could identify every book Forester published. I believe it was in a discussion in Long Before Forty of his writing British Rail travel brochures that Forester mused about the challenge any future biographer would face trying to track down everything he (Forester) had published. At that time I was wondering if I might become that future biographer, in which case perhaps my initial foray at the BM was my first step. Well, here I am 45 years later and haven’t become–and am not likely to become–Forester’s biographer, but my interest in his writings remains keen. I have, however, become a writer myself–not a novelist, but mainly a writer of history and literary criticism. Beyond my many books, my credited and uncredited briefer publications must stretch into the thousands, if one counts every little piece that has found itself way into print. I mention this simply to make the point that over the years, I have occasionally thought about Forester’s remark about a future biographer’s challenge to track down his publications and realized that I could say the same thing about myself–with the difference being there’s not a chance in hell anyone will ever want to write my biography. I was actually thinking about my bibliographical records the other day, when I realized I have long since lost interest in even keeping track of reviews of my books. Even I don’t care. Getting back to Hornblower… if you were to look me up on amazon.com, you would find I have published 12 books on Mark Twain (with more in progress), and it would be a reasonable guess that Mark Twain is my favorite author. That guess would be accurate. However, although I’ve read most of Mark Twain’s books at least a half-dozen times each, I have read the Hornblower novels even more times. One normally doesn’t keep accurate counts of this sort of thing, but I’ve read all 11 Hornblower novels at least ten times each–maybe as many as a dozen times. These days, however, I’m far more likely to listen to the books on unabridged recordings than to read printed copies. Audiobook listening I do keep track of (I used to review audiobooks for Library Journal, which, incidentally, had me review at least seven Hornblower recordings), and my database helps me remember when it’s time to go through the whole series again. I do that every two or three years but always struggle to resist the itch to return to them sooner. I last went through all the books about six months ago, so I’ll have to wait at least another year and a half. I just examined my audiobook database to see what my Hornblower listening record has been. I’m pretty sure every time I have listened to Midshipman Hornblower, I also listened to all the other volumes, my so Midshipman listening record should reflect the series as a whole. Here are the dates: April 1994; August 1998 ; Nov. 2001; Nov. 2002; Nov. 2004; Nov. 2007; Dec. 2009; Apr. 2013; March 2017. One of the things I love about the Hornblower books is that despite my deep familiarity with them, they can still surprise me occasionally. An imperfect memory helps there, especially as my limited familiarity with sailing terminology (despite my having served in the U.S. Coast Guard) makes it difficult for me always to be sure I understand the fine points of sailing maneuvers in battles and the like. Well, I never became Forester’s biographer, but I have published a few reference-book articles about him, in addition to the audiobook reviews I mentioned. Years ago, I also got a little mileage out of The African Queen in an article I wrote for the Book of Lists (vol. 2 or 3) about movies that added happy endings to novels. African history, incidentally, was my field of doctoral research (hence my objection to The Sky and the Forest), and I’ve always been amused by the impossible geography of the Ulanga River. It’s been a while since I’ve read the novel, but the movie is one of my all-time favorites. Speaking of impossibilities … when I was in grad school, I knew a student who had spent 14 years as a missionary in East Africa. She strongly criticized The African Queen for having a Protestant missionary posted in Africa with his sister–something my friend said would never have been done. I never studied missionaries themselves closely myself, but virtually all the Protestant missionaries I encountered in my research on 19th century Africa were in Africa with their wives. I think the reason for that was to assure members of African societies that the missionaries were “normal” men. Anyway, my ex-missionary friend insisted that Samuel and Rose Sayer were an impossible combination. This has been a much longer note than I planned to write and has gone off in directions I hadn’t intended, so I had better turn to the main reason I decided to write to you: I thought there were some errors in the website’s list of American titles of the Hornblower books, but on further checking, I’m now not so sure. For example, I was thinking that the American title Mr. Midshipman Hornblower didn’t have “Mr.” in it; however, I either imagined that or once happened to have a maverick edition that dropped the honorific. My early Little, Brown copies all have “Colours.” So, forget my quibbles. BTW, I responded to the online polling questions. The poll asking which novel is one’s favorite would be more interesting if it asked us to list all 11 titles in order (a tougher challenge to set up on the web, no doubt). The website’s list summarizing the votes is close to my overall ranking of the titles, but it can’t really reflect readers’ overall preference accurately. My own least favorite book is Admiral Hornblower, which ranks near the bottom of that list. However, the title at the very bottom is Hornblower and the Crisis, which has 1.43% of the vote. Does that mean 1.42% of respondents ranked it no. 1? I can’t imagine anyone ranking it first, as it’s an incomplete story; however, I’d be surprised if most readers ranked it last. I’ll bet that if everyone ranked all 11 titles, that title would be higher in the list. Here’s a question I’ve long wanted to ask fellow Hornblower buffs: Am I alone in regarding Hornblower and the Atropos as a little out of place in the series? I’ve always felt that way about that book but have never been completely sure why. Probably has a lot to do with the absence of Bush in the story. Forester wrote it immediately after writing Lt. H. and knowing that Atropos would be followed by the captain trilogy, commodore, and lord–in all of which Bush figures prominently–but he left Bush out of Atropos. Why? Could it have been that he needed a less competent first lieutenant for the story? Also, the nature of Hornblower’s mission in Atropos is very different than that of the other novels, which feature more conventional naval action. I always enjoy the story, but it does seem a little odd to me.